Discount available! Recommend Spectrometer breakout - mounted to your friends and get your Discount. Breakout board based on the AMS AS72651, AS72652 and AS72653 light sensors. 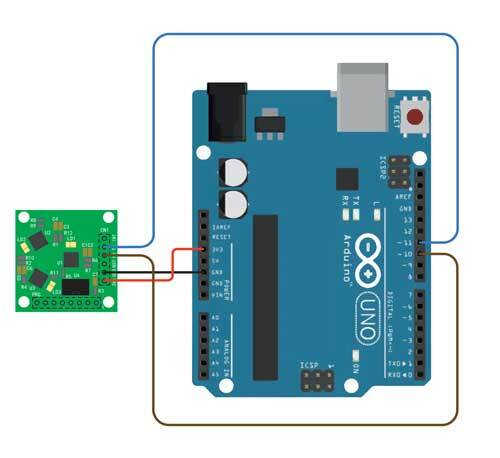 It is connected to an Arduino Uno board and allows to recognize the materials or the composition of a liquid mixture through the confirmation of the spectral response to an inconsistent light that is pointed against and partially reflected. Can be used in all chemical and biological laboratories, also useful in the home and in general in everyday life: for example by spectrometry we can, through the spectrum of light that reflects, determine the goodness and authenticity of a fine wine or a olive oil. The results of the analysis of the light spectrum will be "plotted" on Serial Arduino Monitor and can be processed by a PC to be shown in graphical form. 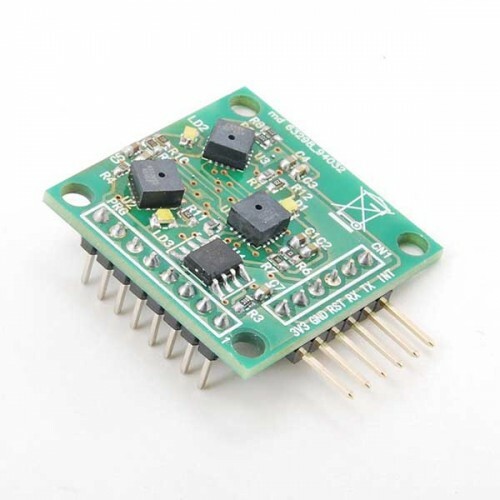 Each sensor must be powered with a voltage of 3.3 Vdc with 10% tolerance, serial communication 115200 baud rate. The library reads all channels and saves them in 3 arrays, each representing an AMS sensor. Each value is given a name, or rather a letter, to identify it, but in reality, it serves the set of 18 channels to use the integrated as a spectrometer and to provide a usable impression of the material under test. The light visible from our eyes (that is, what our brain interprets) is actually a portion of what the sun sends to us at all times and travels together with many other electromagnetic waves covering a very wide frequency range. This set of frequencies is called a spectrum. Our eye perceives only a part of the spectrum of luminous radiations that makes up the light of the sun and that part is called the visible spectrum, that is visible light. 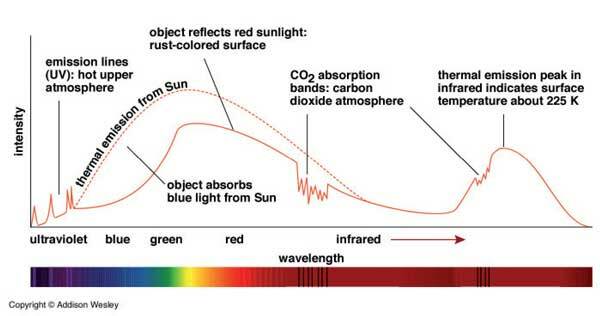 The case is that the spectrum of the visible corresponds to the frequencies, in the spectrum of the light of the sun arriving on the Earth, which have the greatest intensity; in reality it is not a coincidence, but the result of the evolution of the human eye, which over the millennia has become accustomed to seeing exactly the most important part of the spectrum of light that invests our planet. When the light hits an object that does not absorb it completely (otherwise we would deal with the so-called black body) a part goes back: this is an optical phenomenon commonly known as reflection. If this reflected light hits our eye and carries with it a frequency contained in the visible spectrum, then we see that object of the corresponding color. So when we see a green leaf, in fact that leaf has absorbed all the other colors and only reflected the green component, then a wave with a wavelength of around 520nm. The reflected light brings with it other information besides the colour: if we illuminate a material with a white light (which is the set of all the frequencies of the visible) and this reflects only the light in the violet, it means that it absorbed all the other frequencies. 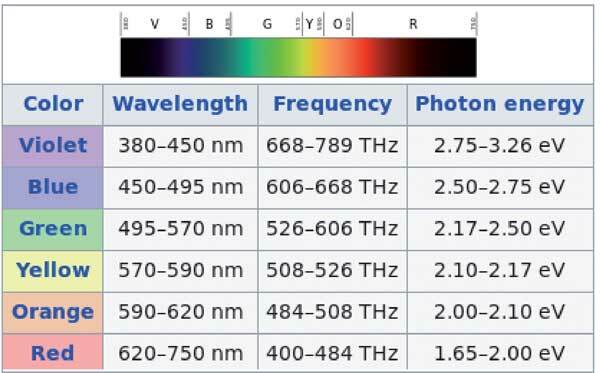 The set of frequencies that an object captures takes the name of the absorption spectrum and, since each material has a known absorption spectrum, this becomes a code identifying the material itself. This concept is important enough to have earned a branch of physics that studies the interaction between light and matter: spectrometry and the instrument used to calculate this interaction is called a spectrometer.